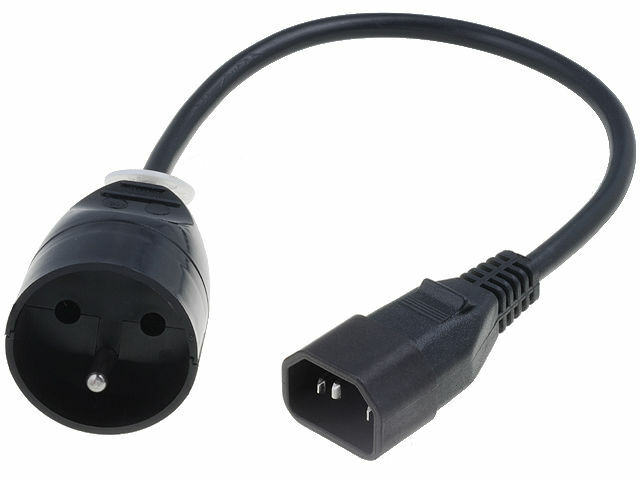 WN217-3/07/0.3BK-1 is a 0,3 metres connection lead finished on one side with IEC 60320 C14 PC plug, and from the other with a standard 230VAC grounded supply socket (CEE 7/5 E)). It allows connection to UPS of receivers equipped with standard mains plugs CEE 7/5 (E)), i.e. routers, VOIP telephones, TV sets, lamps, fans etc.